ARE TWINS REALLY TWICE AS NICE? Fertility experts are pretty certain that using in vitro fertilization (IVF) in order to produce one child is a lot safer than using it to give birth to twins. According to a recent Associated Press report many doctors strongly encourage those with fertility problems who opt for IVF to try for one child at a time. 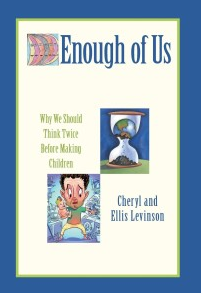 Since the notorious “Octomom” blew the romance of multiple births right out of the money-making fertility industry with her eight simultaneous progeny, “big multiple births have gone way down, but the twin rate has barely budged,” says reporter Marilynn Marchione. That’s because parents-in-waiting are unaware that being pregnant with a duo tends to carry a higher risk of prematurity along with a higher risk of serious illness. Consequently, many couples insist on two embryos, both to boost their chances of conception as well as to complete their family in one shot without paying through the nose for a repeat IVF. Dr. Richard T. Scott, Jr., scientific director for Reproductive Medicine Associates of New Jersey, said that after explaining the risks of transferring two embryos to a woman’s womb it should be easy to convince patients to transfer only one embryo. Not so, says Dr. Fady Sharara of the Virginia Center for Reproductive Medicine in Reston, Virginia. Sharara offered 48 couples free medications and the opportunity to freeze their embryos if they would agree to transfer one embryo at a time. Eighteen couples turned down the offer, including one-quarter of those whose insurance was covering the treatment. What does this tell us? According to Dr. Michael A Feinman, Medical Director of HRC Fertility in Southern California, patients skim over the risks of being pregnant with two. Some desire twins, thinking they are “cute.” Parents-to-be have little concept about how hard it is to handle these babes. About 60 percent of twins are born prematurely. More than half of twins are born at less than 5 1/2 pounds, which is linked to disabilities such as mental retardation, cerebral palsy, as well as vision and hearing challenges. Women who carry twins are more likely to deliver by Caesarean section, which results in longer hospital stays due to longer recovery periods. About 10 percent of identical twins develop Twin-Twin Transfusion Syndrome (TTTS). A connection between the two babies’ blood vessels causes one baby to get too much blood flow and the other too little. Women delivering twins are more than twice as likely to develop preeclampsia, which involves high blood pressure, excessive weight gain, protein in the urine, severe headaches, edema, and visual disturbances, all of which can be dangerous for both mother and baby. Perhaps if and when more couples get the message about the risks of bearing twins, more of them will opt to have one child. And isn’t it time for fertility specialists, many of whom who have extolled multiple births for fun and profit, to realize that it’s not simply the risks associated with multiple births that are problematic, it’s also the unsustainable number of people that inhabit our planet? Amen! You’re so right about the selfishness of this choice, on so many levels. A late dear friend of mine had twins before I was born. They were naturally conceived, and neither she nor the twins experienced any of the problems you mention (although one of the twins told me he suspected his sister tried to strangle him at birth ^◡^). In fact, they were born in the proverbial taxi cab. It would be interesting to know if IVF twins and their mothers are more prone to problems than “accidental” twins. But raising them! Talk about the terrible twos. My friend took the twins to the beach, and one would run for the ocean while the other ran for the street, posing a troubling dilemma. They also got together and managed to paint the family house when they were about six. With two of them at work, they achieved more than a single child could, in a record amount of time. What a disaster. Even unintentional twins can be a dangerous proposition. 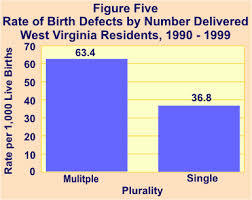 Of course we do not imply that multiple births of necessity mean birth defects. But the odds go up. We know folks with triplets (both sets by IVF) oneset is perfect. The other has one child with a series of physical issues. Anecdotal evidence is good for illustration, but not for proof. about it. There’s no particular tablet, no secret elixir, no wonder medicine. 1) give attention to superior Muscle Building diet.